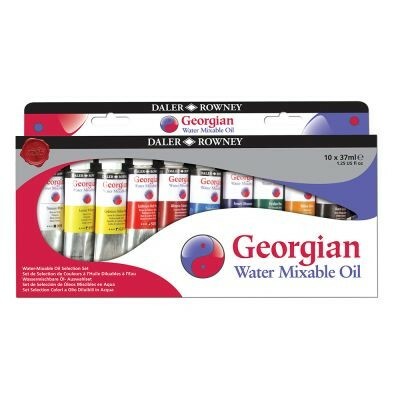 This set of Georgian Water Mixable Oils contains 10 x 37ml tubes of student quality oil colour. 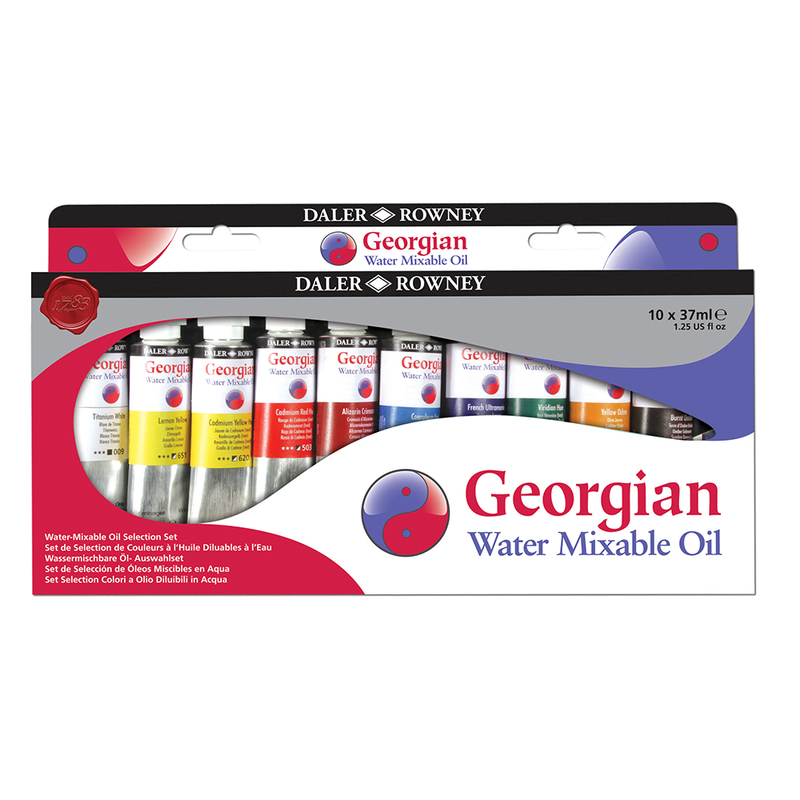 These affordable water mixable oil colours allow artists to enjoy the experience of oil painting but without the need for solvents. This range of colours can be mixed, thinned and cleaned using just water which makes them perfect for indoor studios and classroom environments. These paints are formulated to give excellent lightfastness, good pigment load and long term durability. Made to mirror the working properties of a traditional oil colour, these paints can be used with all your favourite oil painting techniques - apply thickly for an impasto finish or thin to apply in translucent washes. The 10 colours included in this set are; Titanium White, Lemon Yellow, Cadmium Yellow Hue, Cadmium Red Hue, Crimson Alizarin, Coeruleum Blue, French Ultramarine, Viridian Hue, Yellow Ochre, Burnt Umber.